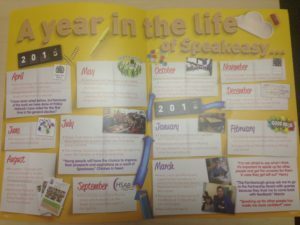 Speakeasy had our Annual General Meeting on the 9th December to talk about what we had done between April 2015 and March 2016. You can read the Annual Report here. People who use our services also told us what they thought of Speakeasy. “The group has given me confidence” and “I like meeting my friends” were some of the comments people shared.